HINATA Aki comes home after three days at work, where she comes home exhausted. 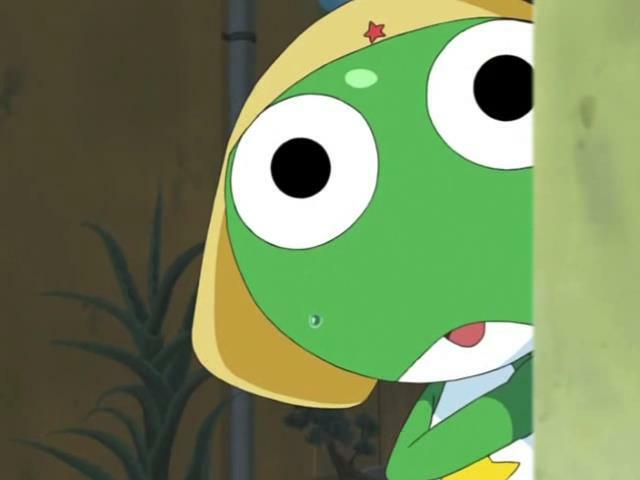 Seeing she’s in need of a massage, Keroro provides one to be nice, whereupon he gets paid ¥100 for his services. This starts his new plan to score more money and human support with massages, so he starts training to provide better massages. Hearing of Fuyuki’s and Natsumi’s plan to move in on massaging their mother’s shoulders, Keroro decides he needs to stop this and keep the plan going. They start looking for the massage coupon Aki mentions, but have no luck. They have the house locked down when Natsumi and Fuyuki come home, so Natsumi gets ticked and breaks in. 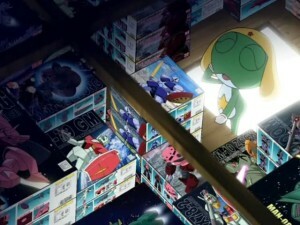 Although Keroro manages to find the coupon, it wasn’t what he expected. 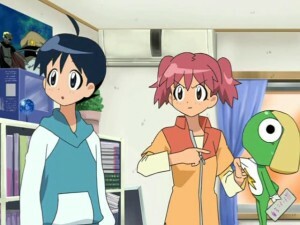 As such, Natsumi, Fuyuki, and Keroro massage Aki’s shoulders after she cashes in the coupon. 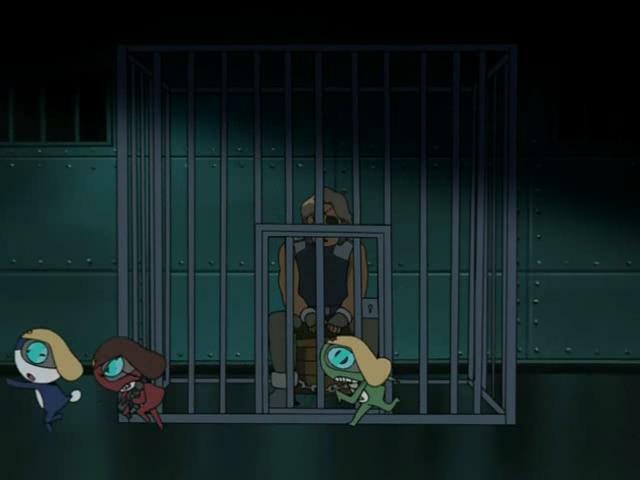 Dororo’s mother is coming for a visit, so Tamama, Keroro, and Giroro join him waiting for her at the alien train station. 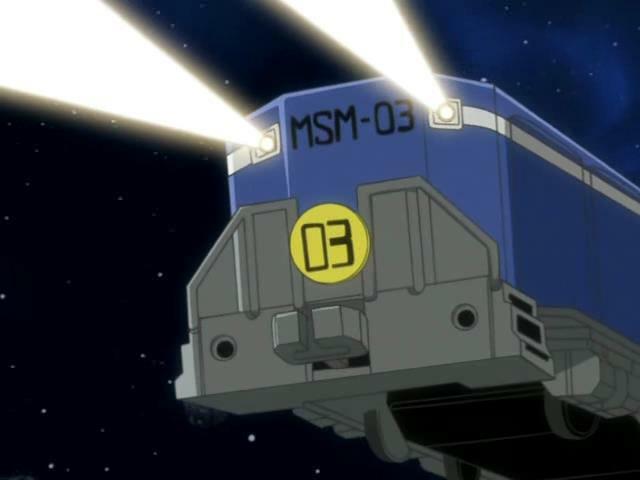 Hearing the Galaxy Railroad train may have been hijacked, the platoon goes into action. They take a craft to the train, sneak in, then come under attack from the train’s defenses. The platoon makes contact with Dororo’s mother. Finding a Viper in the train car, Giroro suspects her, but she’s innocent. Dororo goes to stop the train, but is stopped for a ticket, which he doesn’t have. Defeating the robot conductor, Dororo encounters a Viper warrior while the rest of the platoon encounter space policewoman Poyon-chan. They are chased by rogue food carts, so Dororo’s mother comes to rescue them. 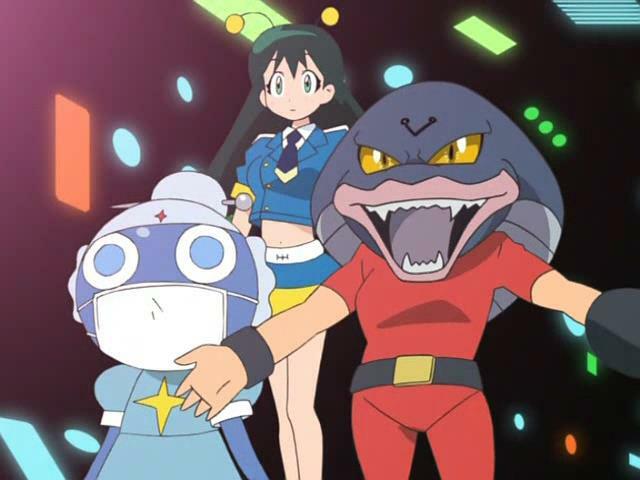 The Viper warrior and Keroro discover the train’s AI is the hijacker, but only because it wants to see its mother computer as it is Mother’s Day. The usual two-story format with the not unsurprising non-interesting stories. In the first story, things are pretty much “meh”. The story premise of Keroro wanting to take advantage of Aki giving him ¥100 by doing more massages was pretty boring. There were some amusing moments, such as Keroro discovering a forgotten cache of Gunpla models he hasn’t gotten around to making yet. Well, this franchise is the one who turned me onto the original Gundam series. Speaking of parodies, this is the first Galaxy Railway parody I’ve seen. I have the series, but I’ve yet to watch it. I guess I should as I have it and its sequel. Anyway, the second story was rather “meh” too, though I did like the apparent parody reference to Snake from Escape From New York. So in the end, a fairly “meh” episode. Oh well.